Analogica Performance is an open space for experimental performance projects dealing with analogue technology. An Analogica Performance is by nature performed live and should involve one or more disciplines among Analogica's central ones: film, music and photography. Among all entered projects, a maximun of three will be selected by Analogica. These will be given the opportunity to be performed live during Analogica 2018. Each selected project will be awarded a contribution of maximum € 400.00 to support travel, stay and production costs. 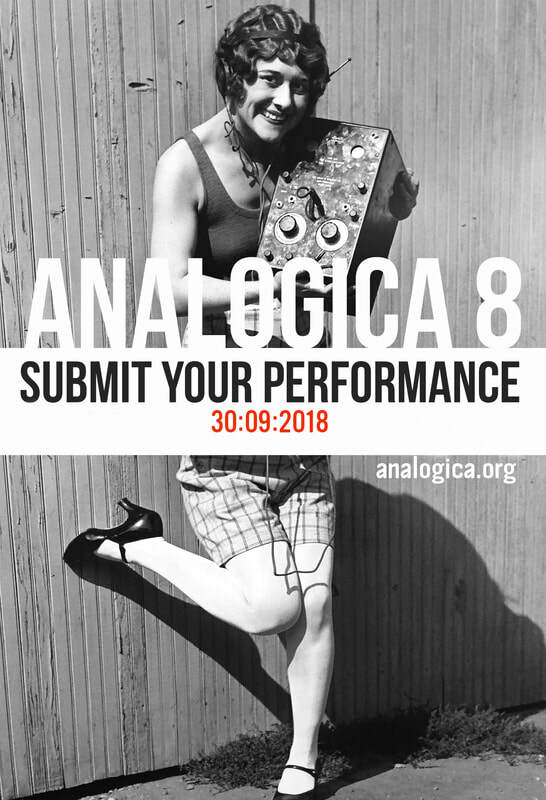 ANALOGICA 8 will take place from the 15th to the 18th of November 2018 in Bolzano (Italy). Photo/audio/video documentation of the project, if available. What kind of projects may enter for Analogica Performances 2018? Analogica Performances is open to a vast array of projects and arts, but for clarity's sake, let's make some examples: live audio reproduction and manipulation, both using recordings and microphones; musical performances that employ analogue equipment; performances that use analogue audio or video recording media, live manipulation of analogue film or other types of live analogue video projections, expanded cinema, etc. We're very interested in cross-media projects experimenting with the interaction of multiple disciplines and analogue technologies. I have an all-acoustic music project, can I send it in? Analogica is a space for exprimental projects focussing on the use of analogue technology. Acoustic instruments are neither analogue not digital, it's a completely different type of thing. Of course, if they are part of a research, that focuses on analogue technologies, acoustic instuments will be more than welcome though. Is experimental theatre analogue enough? We're certainly interested in theatrical performances, as long as these work with analogue technology and at least one of these disciplines: film, music and photography. My Project perfecly matches the cirteria, but will be 60 minutes long, may I enter anyway? Sorry, but we can only offer 30 minutes for each performance. We ask for a donation of €10.00, as a contribution to the festival's expenses. Analogica is an independent festival, based on voluntary work. Thanks to these donations we are usually – but not always – able cover our expenses. The more support we get, the better, since this will help us to to offer more and more support to the great artists participating to the festival (and you could be one of them). If you think that Analogica is an interesting and worthy effort and want to participate, we kindly ask you to support us with this small donation, so we can keep making it happen. Analogica 2018 will take place from 15th to the 18th November 2018 in Bolzano (Italy). Detailed info will be found on the website.